If you’re a long-time reader of our content, you certainly know by now that we take safety very seriously. 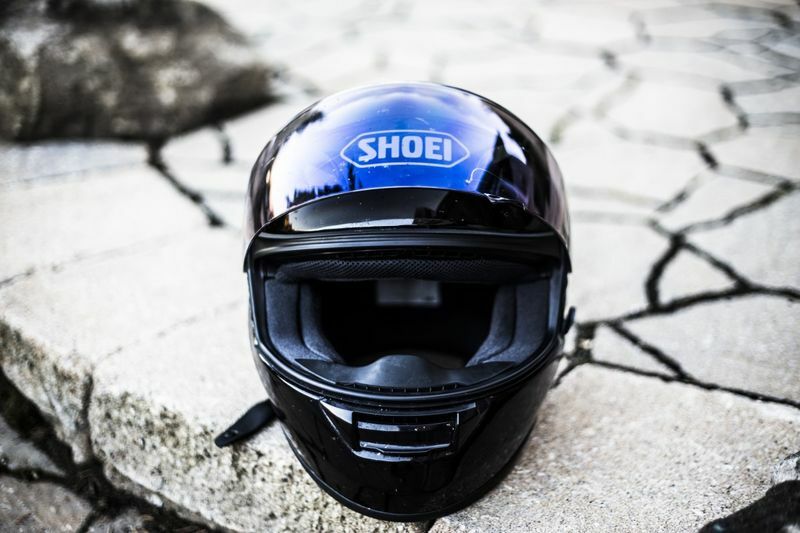 Motorcycle riding is an awesome activity and yeah, it’s a lot of fun – but not if you’re wearing a crappy helmet that could make a minor accident result in a fatal injury. We’ve reviewed the HJC CL-17 helmet in a previous article and today, we’re here to tell you all about its good friend, the HJC FG-17. 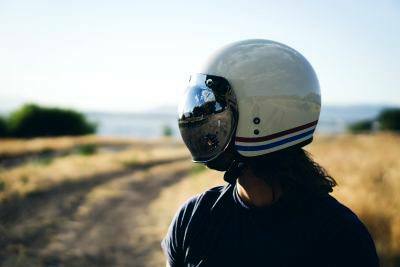 This is another great helmet and true to HJC’s quality promise, the helmet has everything you need for safe touring, street rides and maybe even a bit of speeding – all within the speed limit, of course. The helmet’s purpose: Buy the appropriate helmet for your intended activity. The HJC FG-17 is a great option for daily commutes and street touring. Safety: Never buy a helmet that’s not safety approved! Read more about helmet safety standards < >. Helmet composition: Choose a helmet that is lightweight and made from strong materials. Don’t forget about the importance of ventilation and inner padding! Head size and helmet fit: A helmet needs to fit securely in order to provide maximum safety. Pressure points are not supposed to be there so if the helmet is too tight, try a bigger size. The features available in this model are impressive. HJC is a Korean company that has been manufacturing helmets since 1971. 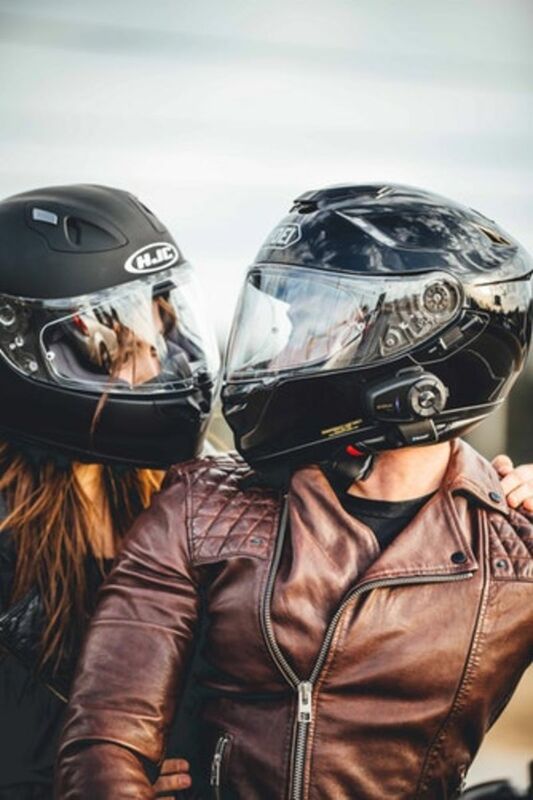 The company prides itself for producing helmets following a careful manufacturing process that includes 3D-modelling and auto-CAD technology to ensure a contoured fit. HJC helmets are made with specifications including aerodynamic ability, ventilation and noise isolation. The helmets are Snell- and DOT-approved, with each undergoing a rigorous testing product to ensure that the helmets are made according to strict quality standards. The FG-17 is another great example of a HJC helmet that is made according to strict quality and safety standards. There are sizes available from X-Small to 5X-Large and if you’re looking for gear to match your motorcycle riding gear and accessories, the black, white and silver options (in matte or gloss) are perfect. The helmet is inspected by hand prior to being shipped off so you can rest easy knowing that the FG-17 is ready for the open road! The FG-17 gives us a good hint about its exterior in the name – FG stands for fiberglass, emphasising the high quality of the helmet shell that is composed of Kevlar and fiberglass matrix. That’s right, Kevlar. Like the stuff they use in bulletproof vests – so badass. Fiberglass also offers several benefits over regular molded shells, the primary advantages being that it lasts longer and holds up better under high impact. This helmet will absorb shock better by distributing the force across the helmet’s surface. The anti-scratch visor is strong and provides 95% UV protection. HJC has really taken this helmet to the next level by including a strong fog-resistant shield and a locking mechanism to keep the shield sealed and secure when riding at fast speeds. The helmet is equipped with the HJC RapidFire II shield replacement system that allows for tool-free installation and easy removal. The face shield has a center locking lift tab that’s easy to operate even while riding. It also has five detents which makes defogging much easier. The helmet is equipped with a great ventilation system too: the ACS Advanced Channelling Ventilation System. A top intake vent and rear vents allow air to flow through. In terms of riding irritations, few things are as bothersome as moisture that builds up inside so ventilation is essential to help pull the heat from the interior. A chin bar vent also helps provide horizontal aiflow to prevent fogging. HJC has several interior cooling systems to keep the inner padding moisture-free. The FG-17 comes with a ‘SilverCool’ interior that’s not only moisture-wicking but also lined with advanced anti-bacterial material. The name comes from the fact that the liner is actually weaved with silver thread, a material that is popular for its antimicrobial properties. Functional AND fancy. The liners are odor free and can be removed for easy washing. In fact, the whole interior lining can be removed and washed in the washing machine. Like most HJC helmets, this model comes with only a clear shield but a tinted shield can be bought separately and easily inserted with the helmet’s Pinlock insert. In fact, HJC offers extra Pinlock ready shields in smoke, dark smoke and amber, as well as mirrored shields in silver, blue and gold shades. The helmet also comes with a larger than normal eyeport that provides excellent visibility. Any seasoned rider will tell you in a heartbeat that a wider field of vision is a luxury you deserve to have and with this helmet, you’re not paying hundreds of bucks extra for it. The helmet suits the majority of head shapes but offers a slightly tighter fit than other helmets suited for a round head shape. It also provides a fit better suited to racing, which makes it an attractive choice for motorcycle riders who want to ride at high speeds and maybe veer off road now and then. If the fit feels too tight, the cheek pads can be switched out for ones with thinner material. 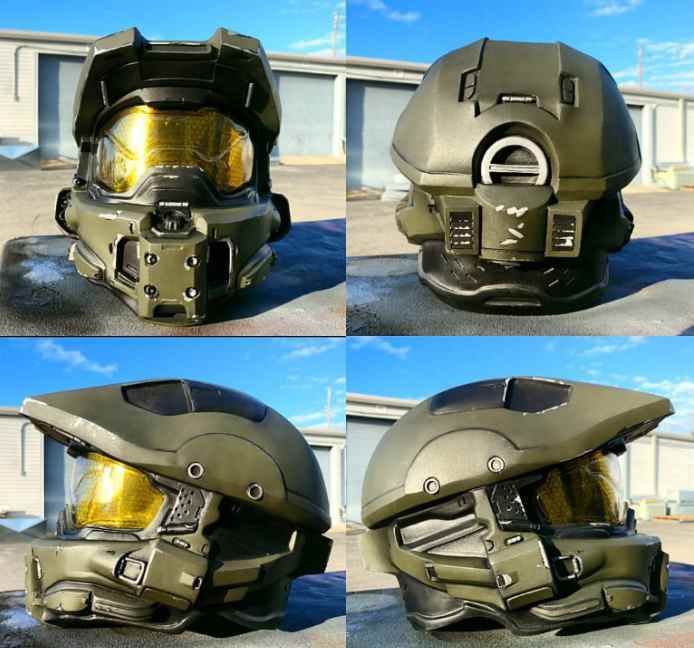 LS2 is another popular helmet manufacturer and this model bears some resemblance to HJC’s FG-17 model. The shell is also made from fiberglass composite and is extremely light, although it does not contain Kevlar like the FG-17. The helmet fits a long oval head shape so if you find that the neutral to round shape of the FG-17 feels a bit too tight against your cheeks, this would be a very suitable alternative. The LS2 has a great quick-releases strap and includes a twin shield system with both a clear and sunshield. The LS2 is a promising choice for riders who find that the FG-17 doesn’t fit perfectly. It offers great features including an inside shaded visor and still comes in at a really great price. I love Bell helmets and find them to be of good quality. I’ve been riding for years and have tried pretty much every helmet brand out there and Bell is definitely on the list of good buys. As an alternative to the FG-17, this Bell model has some unique features like a magnetic strap secure system and a sunshield that drops down from the inside. It shares anti-fog and anti-scratch visor features, as well as a fully removable and washable interior, with the HJC FG-17. The HJC FG-17 comes with a lower price while offering stronger composite materials. However, the Bell Revolver Evo offers many of the same great features and is still an affordable quality buy – if the FG-17’s not to your liking, this is nice alternative. There’s something of a competition going on between the HJC’s FG-17 and CL-17 models. The two are from different ranges and each has unique features. The helmets also share some similarities but we’ll keep that for another discussion – check out our full post on the CL-17 or the ultimate showdown between the CL-17 vs FG-17! The HJC FG-17 helmet is a must-have for your helmet collection. If you don’t have a helmet collection (the ultimate dream!) the FG-17 is a great place to start. The manufacturing process is detailed and thorough, ensuring that each helmet has a rigid outer shell and great interior features. There’s not much to fault in this model and its only shortfall is lacking an ear insert for Bluetooth headsets – at the great mid-range price that it’s going for, we can forgive HJC this one time. We vote yes! Thank you for reading our HJC FG-17 review. Do you own this helmet? Do you want to? Leave any comments in the comments section below! Next PostNext Hjc Cl-17 vs Fg-17. Which is Best?